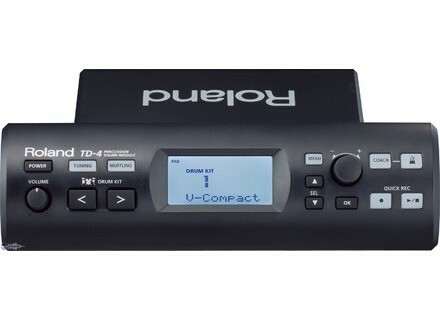 Roland introduced the latest addition to the V-Drums, the TD-4S V-Compact Series V-Drums, which features "new expressive drum and percussion sounds, as well as new ambience effects that are optimized for drums," according to Roland. The included snare pad features the feel of Roland's multi layer mesh for dynamic response. A newly-designed four-legged drum stand is designed to allow flexible and solid positioning of the pads and places the TD-4 module in the center. The TD-4S also includes Roland's natural playing cymbals and expressive hi-hat control. The TD-4 also accepts an optional VH-11 V-Cymbal Hi-Hat to play on a commercially available hi-hat stand. Designed for practice at home, with a band, or in the studio. For more info and pictures, visit www.rolandus.com/products/productdetails.aspx?ObjectId=996. [NAMM] Pearl Jingle Cajon Designed in conjunction with L.A. session percussionist Pete Korpela, Pearl's new Jingle Cajon offers four different sound possibilities in one package.